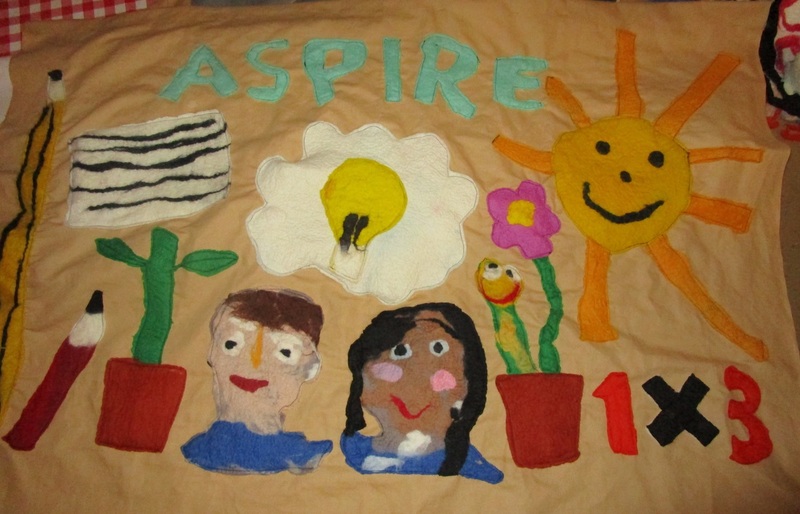 A successful school project a few years ago was working with children in Reception, year 1 and year 2 at Oasis Hobmoor in Yardley, Birmingham, as part of their 'Aspire' week. Children from the school took part in many different activities. 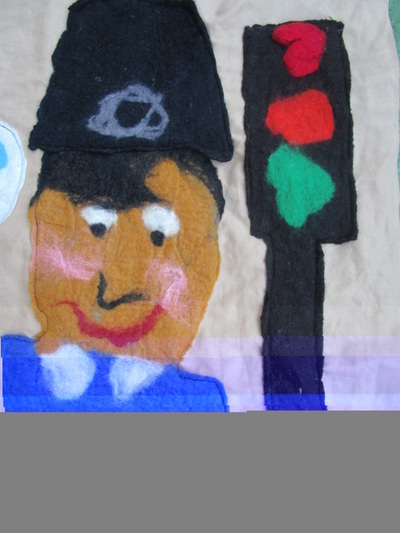 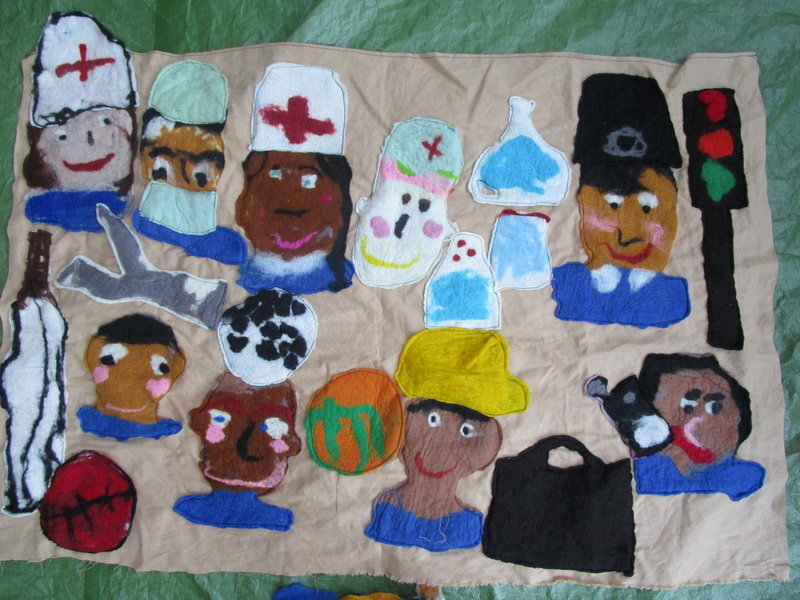 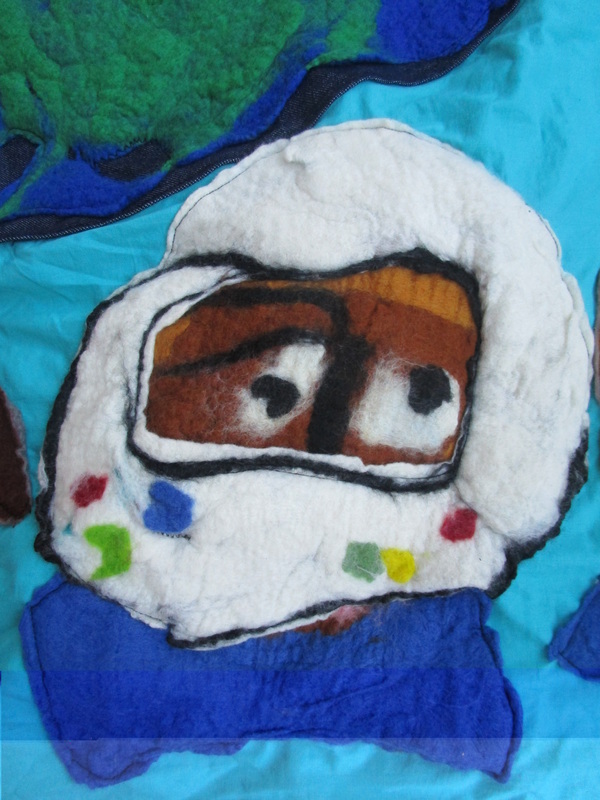 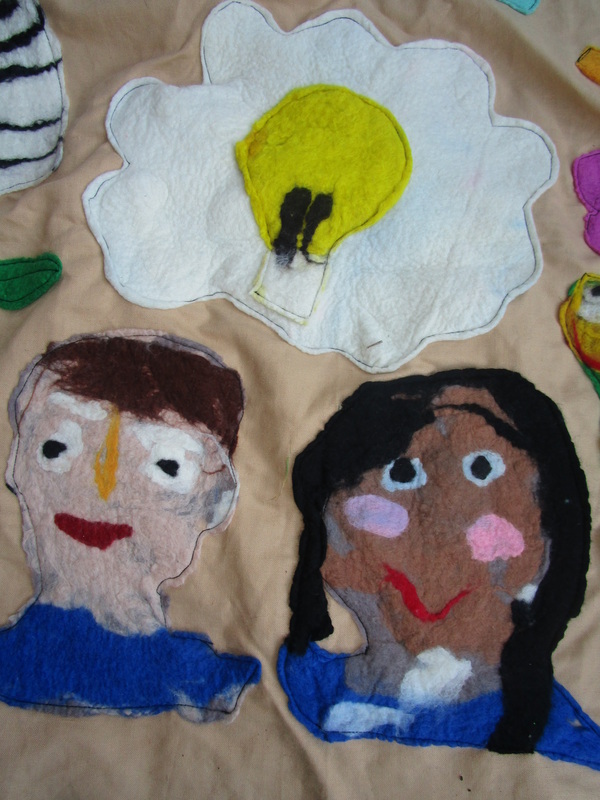 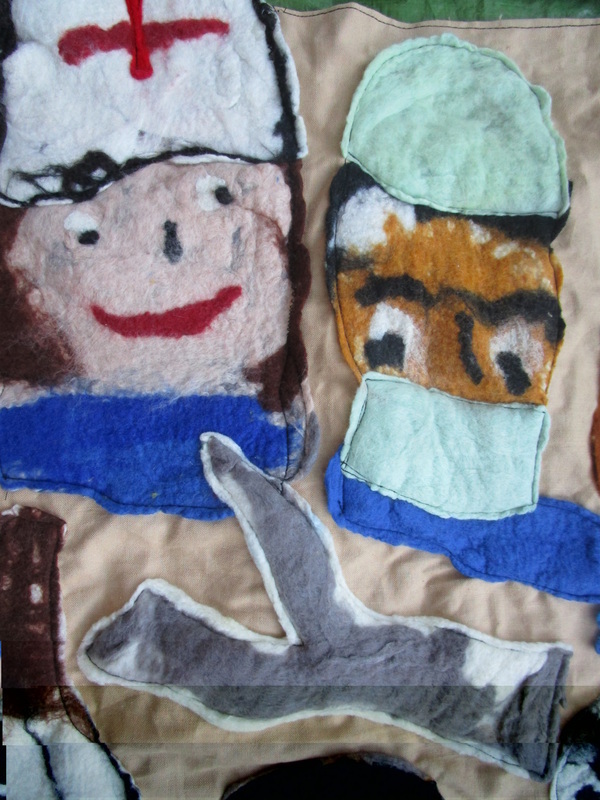 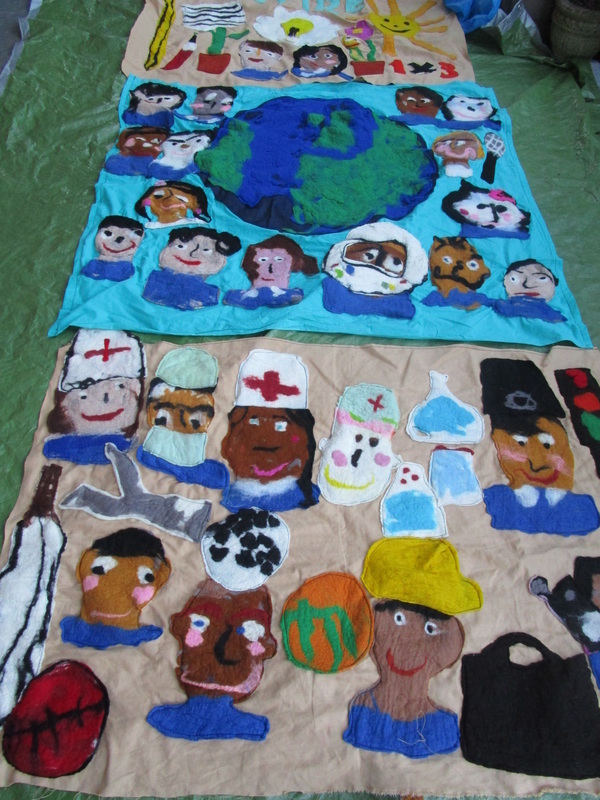 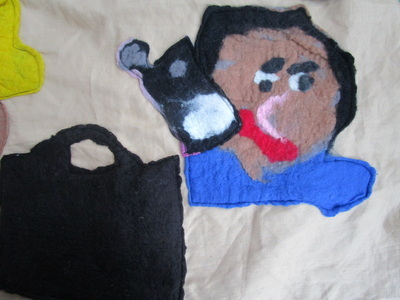 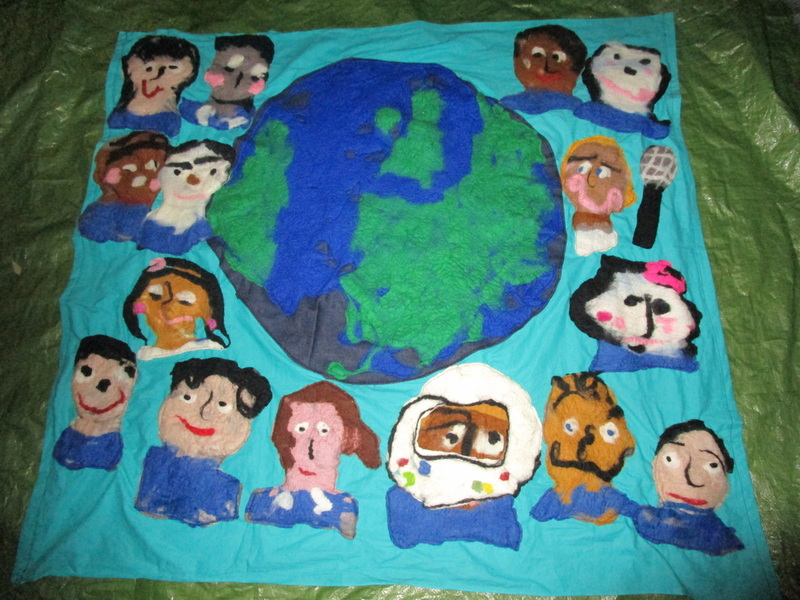 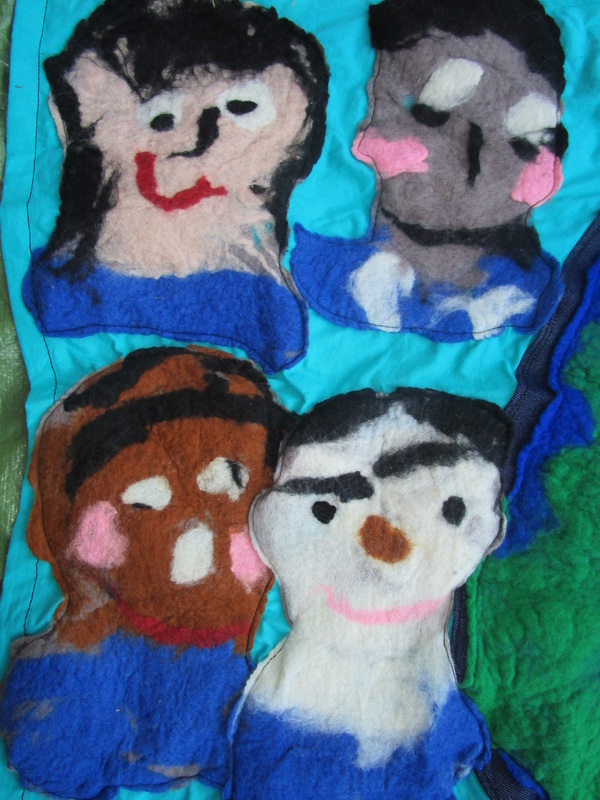 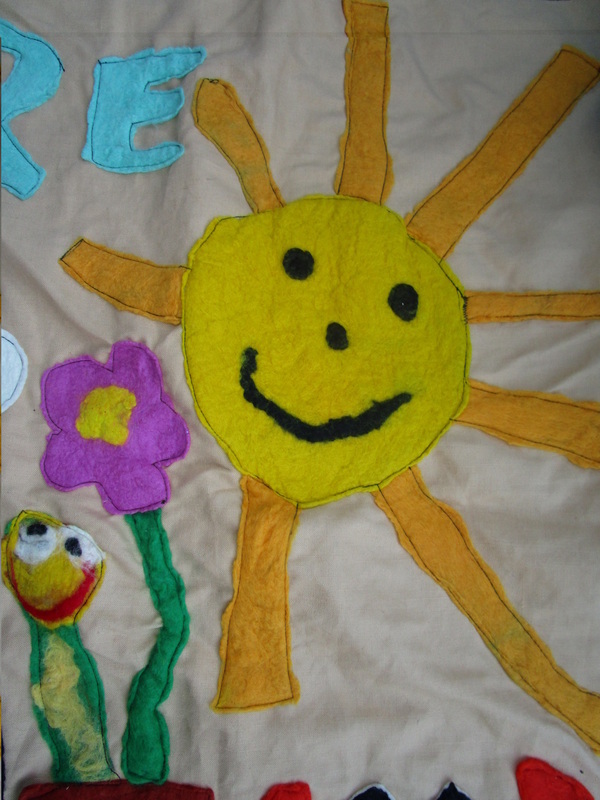 With my felt making project, we talked about the children's aspirations for their own and other's lives, and they came up with ideas. 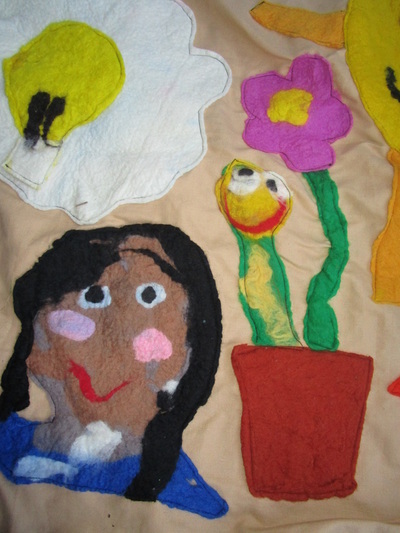 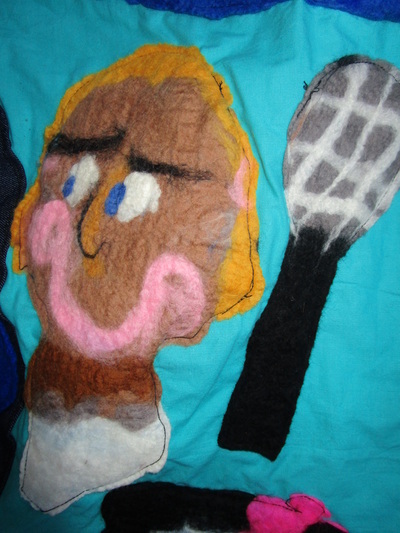 We then created wool drawings, and they felted them. 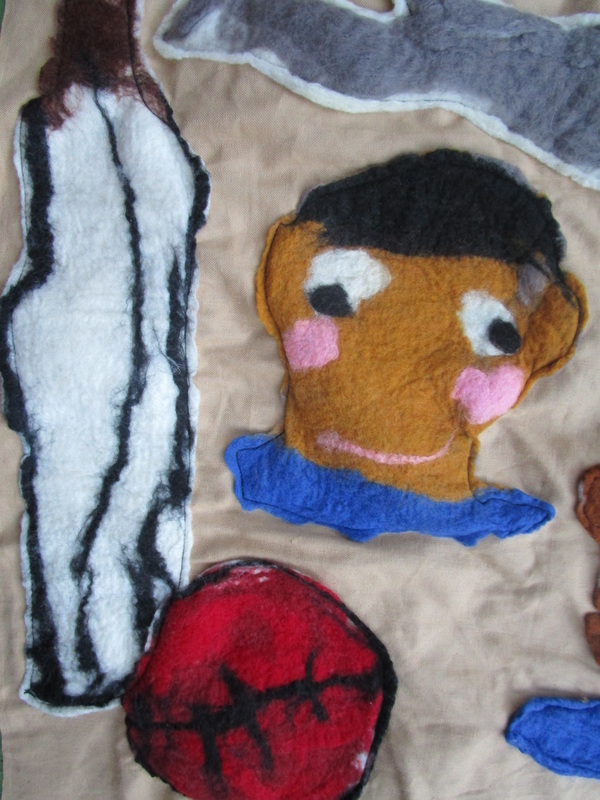 I then sewed all of them onto a wall hanging made up of four sections. The wall hanging will be displayed in school and hopefully will inspire the children in the future to 'aspire' to great things ! I really enjoyed working on this project ! 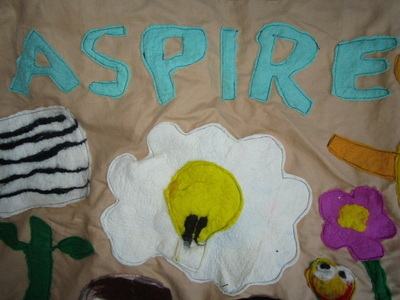 If you would like me to come and do some felt making in your school, please do fill out your details below.